Tips for keeping the cost down when the heat cranks up. 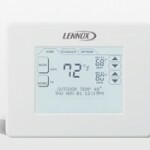 There are different options when selecting a home thermostat, but digital offers the most features. These energy saving gadgets typically offer multiple setback settings, overrides and adjustments for daylight savings time. The trick is learning how to navigate around your system, and to follow these tips to keep the heat up and the bill low. 1. The first way you can save money is by simply resetting your thermostat when you are away from home or asleep. 2. You can also save energy in the winter by setting your thermostat at 68 degrees, and then setting it lower while you are asleep. You are able to save up to 15% a year on your heating bill by turning your thermostat back 10-15 degrees for the 8 hours you are sleeping. 3. Location of your system can affect the efficiency and performance. It’s important to have the thermostat located on an interior wall not directly in front of any drafts, doorways, windows or sunlight. 4. Furniture can also block air flow, so be sure to not place any in below your unit. 5. The last tip to keeping your heating bill down is one that stems from a misconception. Many believe that a furnace has to work harder than normal to warm a space back to a comfortable temperature after a thermostat has been set back. However, when your house drops below its normal temperature it actually loses energy to surrounding environment. So, the longer your house is at a lower temperature, the more money you will save! 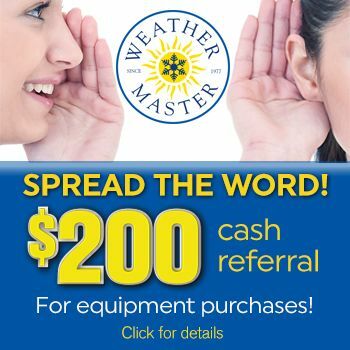 To start saving energy and money contact your experts at Weather Master.